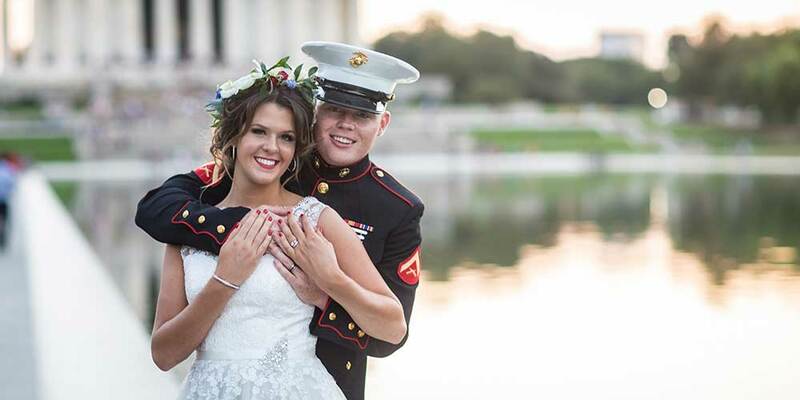 Allison & Patrick had a beautiful military elopement ceremony at the DC War Memorial on the national mall, surrounded by their families and friends. 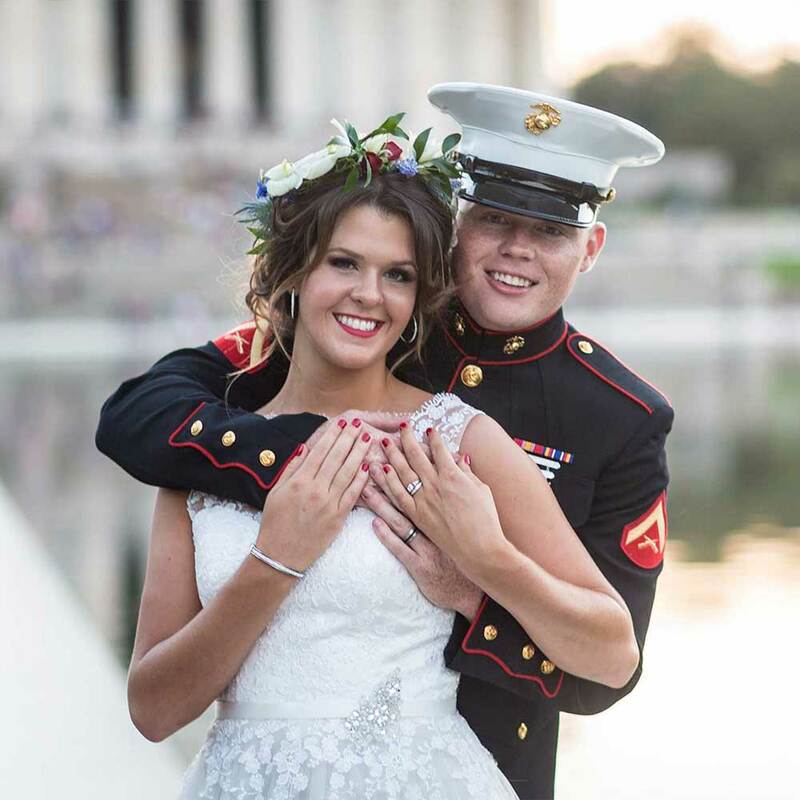 It was an absolutely perfect day, and we asked them to share some of their favorite wedding memories with us! Patrick and I are from Cincinnati, Ohio, where we both met in high school. We had known each other for many years, but we did not begin dating until the end of our senior year, and decided we wanted to get married somewhere special. We decided to elope to Washington, DC with our closest friends and family because of the history behind the beautiful capitol. Neither of us envisioned a traditional wedding and wanted to get away to enjoy the intimate moment. After researching DC Elopements, we knew we had made the right decision to elope. Getting married at the DC War Memorial was the most beautiful place we could have ever chosen. Patrick is a United States Marine. After he proposed at the Lincoln Memorial, we knew we wanted to have a wedding in the same area. DC Elopements made this dream come true with every single detail included. The best thing about working with DC Elopements was the process was stress free. Every time I called, someone was able to take my call and answer all my questions immediately. Every single detail from the photographer to the marriage licenses was handled by DC Elopements. It saved my husband and I so much time and it could not have turned out better. Beyond expectations! Our favorite memory from the wedding day is definitely the intimate exchange of our vows at the beautiful War Memorial. Every single detail was absolutely seamless. DC Elopements provided recommendations for hair & makeup, photography, flowers, etc, leaving me stress free the day of our wedding. Our photographer went above and beyond anything we could’ve ever imaged. DC Elopements made planning a wedding long distance EASY!